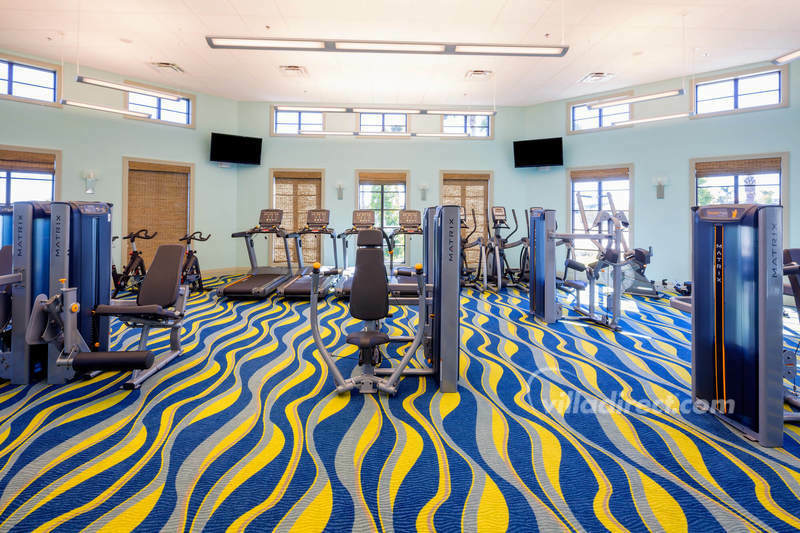 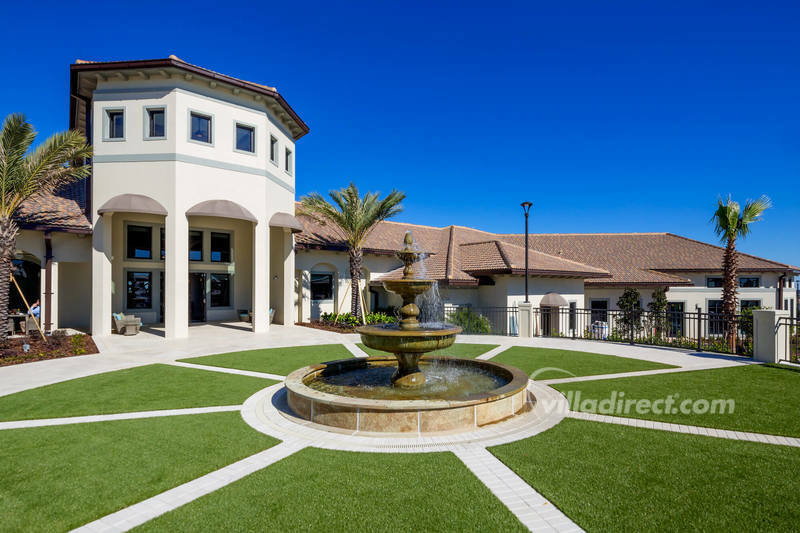 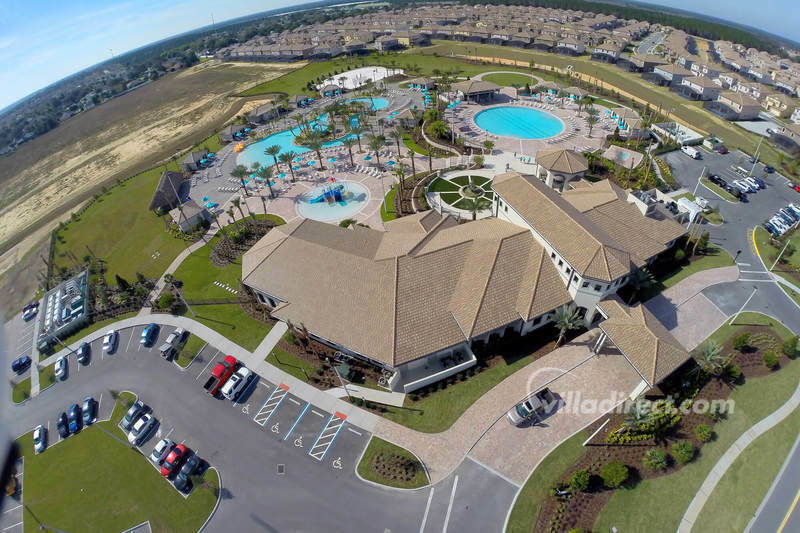 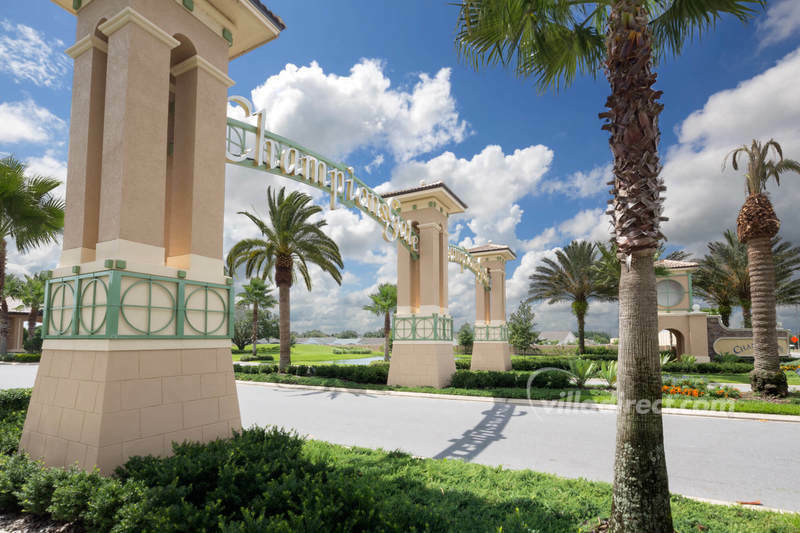 Champions Gate has social and recreational amenities for everyone in the family including the use of the on-site championship golf courses as well as theme parks, attractions, shops and restaurants that Orlando has to offer. 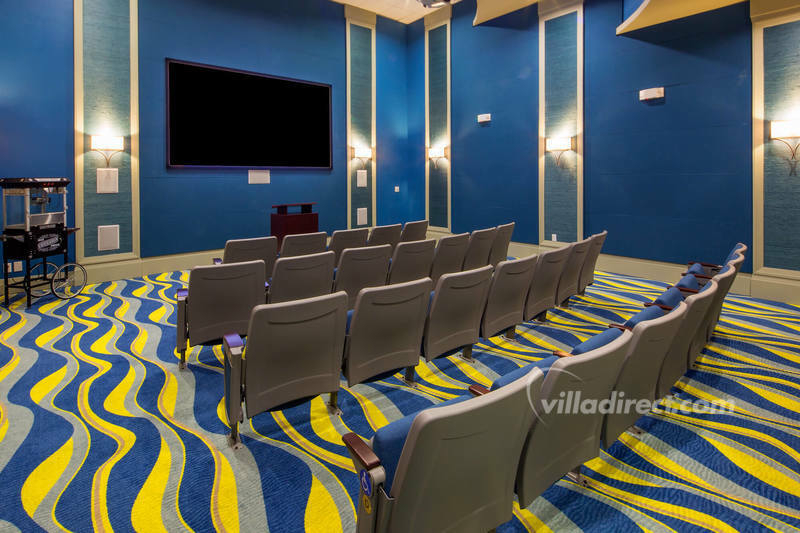 Inside the ChampionsGate Oasis clubhouse there's a fabulous 50-seat cinema that shows family-friendly movies to enjoy in air-conditioned comfort. 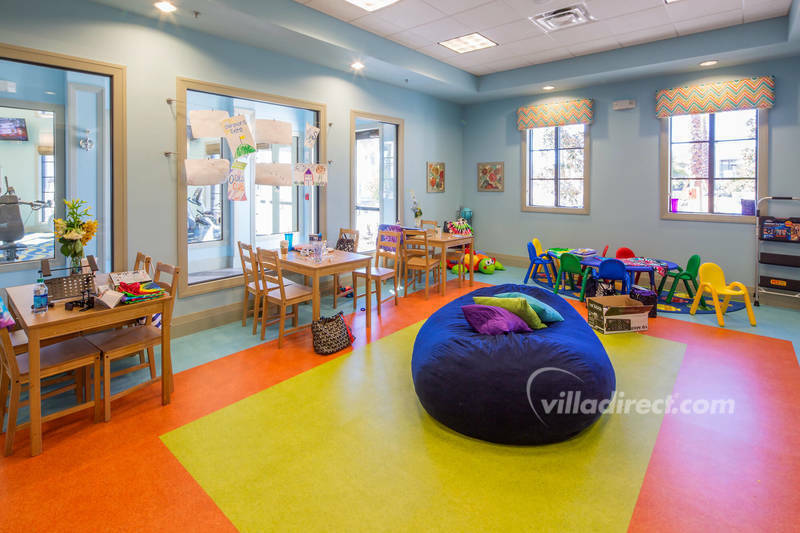 If you want a drink together, let the little ones play in the children's play room with it's video game wall and craft areas. 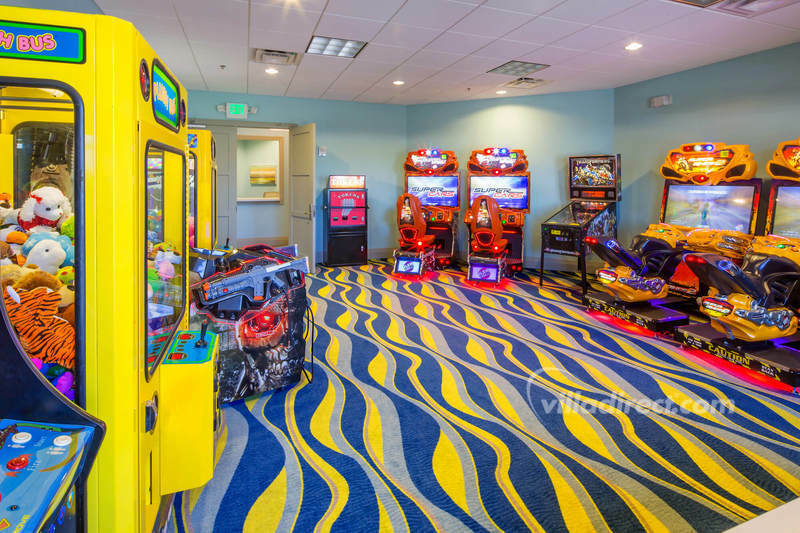 Or let the older children play in the video arcade games center in the clubhouse. 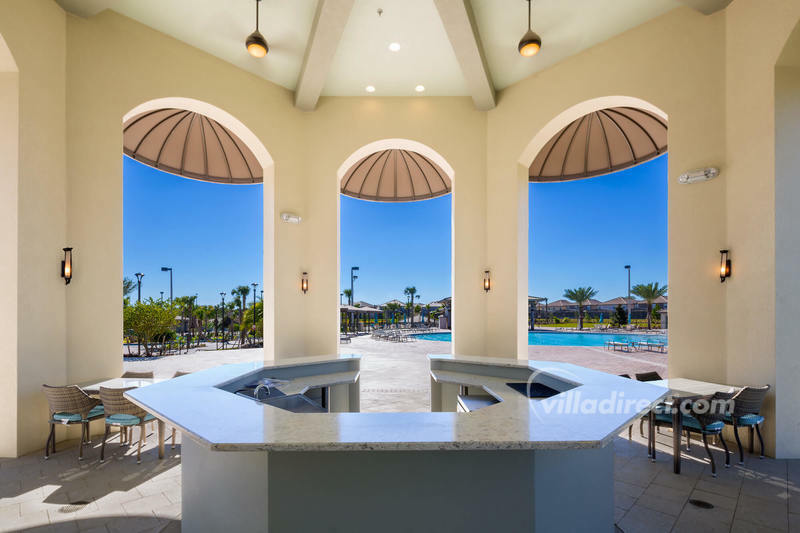 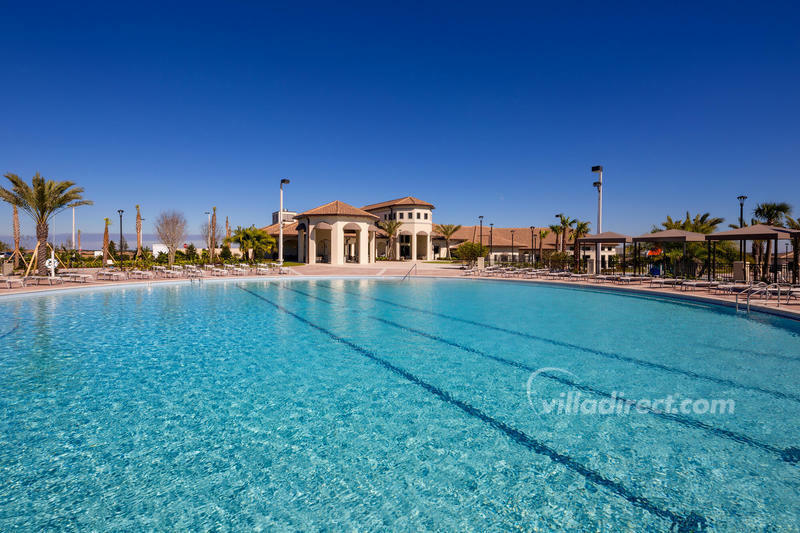 Outside the ChampionsGate Oasis clubhouse, you can choose from separate pools. 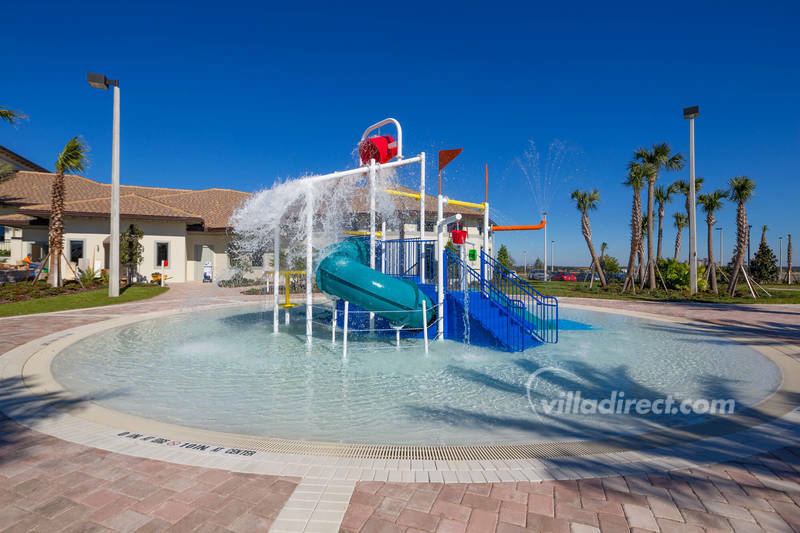 A lagoon pool and island with a water slide/tube, plus a separate Olympic sized pool; a kids adventure playground and a aquatic splash zone. 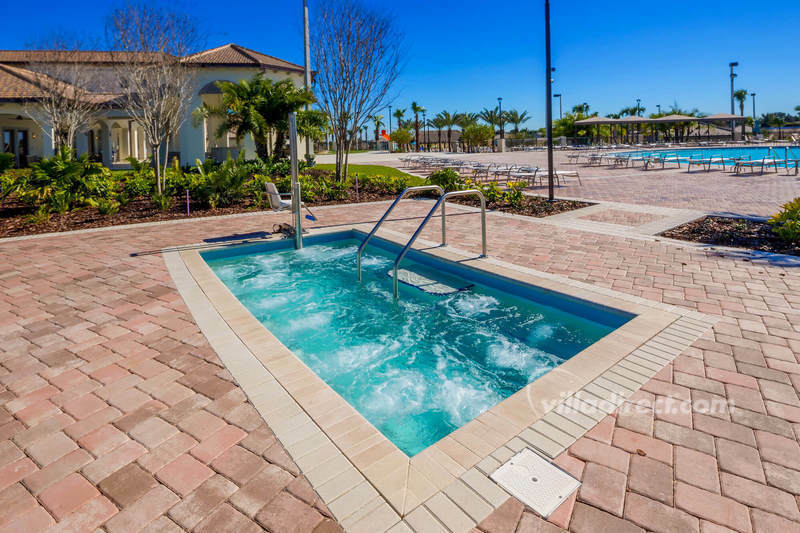 Or you can relax as you float around the lazy river at the water park in ChampionsGate. 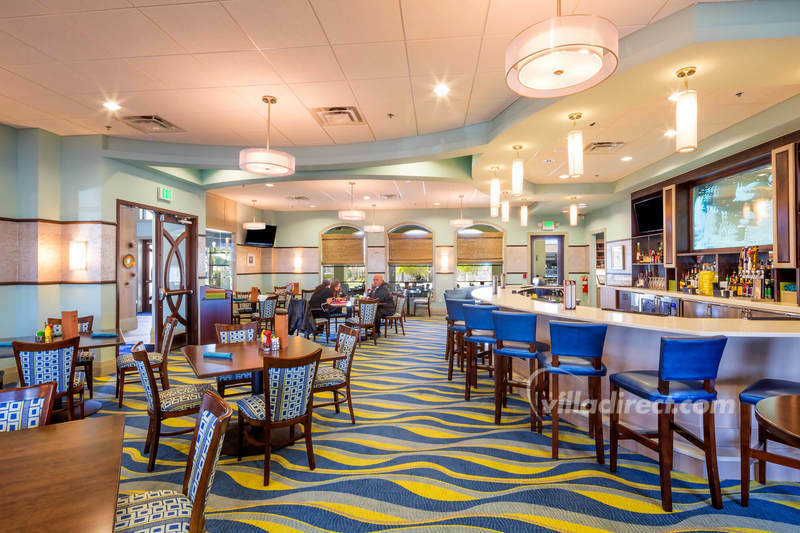 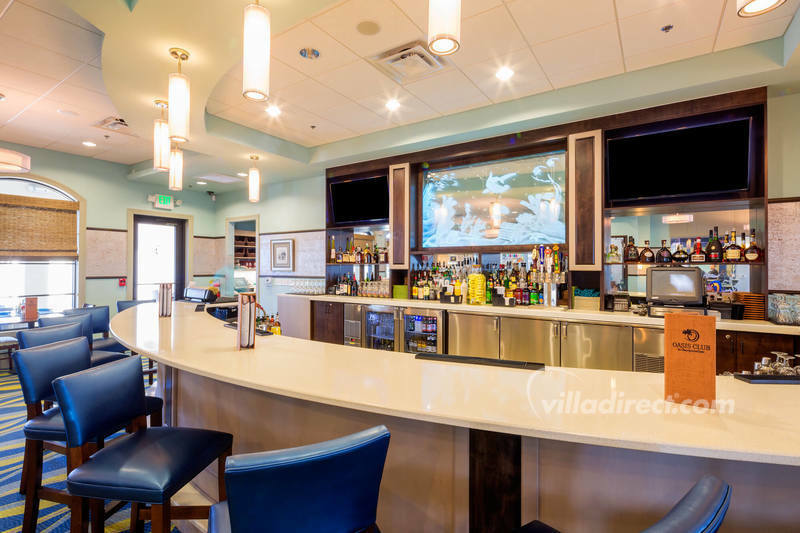 If you want to soak in the sunshine, the sun deck is the perfect place to while away the day and you can order drinks at the pool-side bar or a snack/meal from the ChampionsGate Oasis clubhouse bar or restaurant. 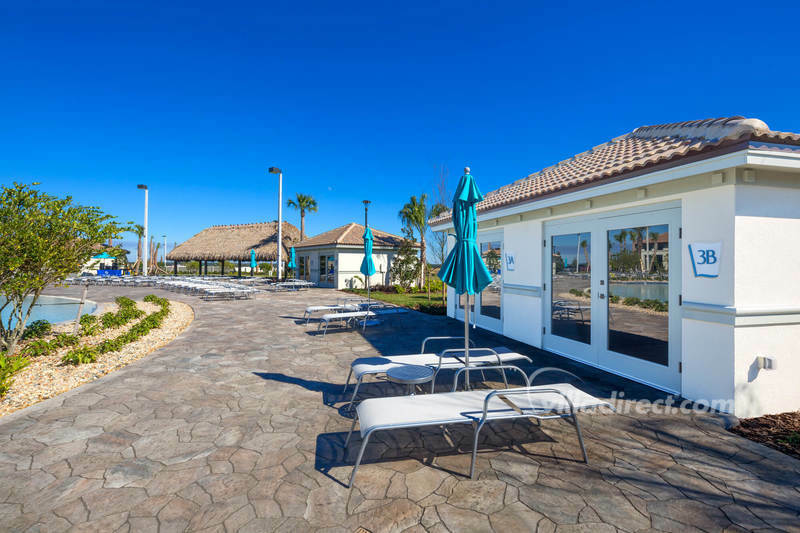 For the perfect experience, book one of the full-service cabanas by the pool and enjoy being pampered. 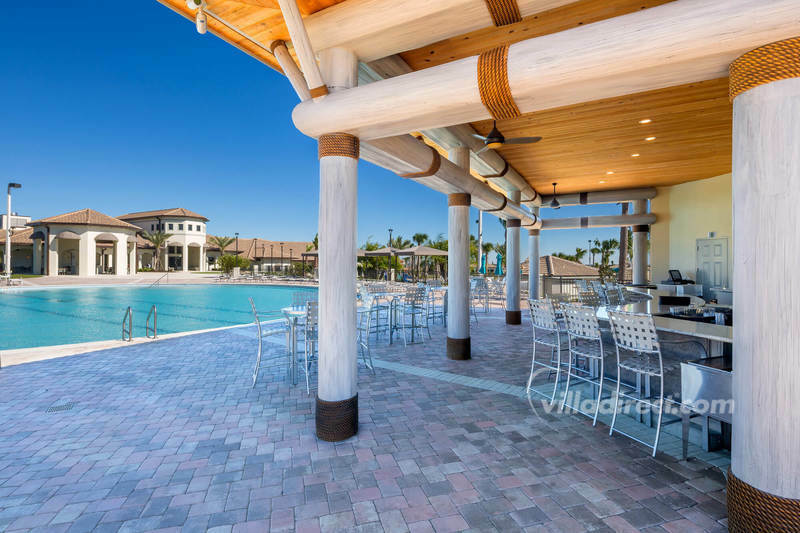 The ChampionsGate Oasis restaurant offers fabulous family meals, casual dining and a friendly place to sit and meet other guests. 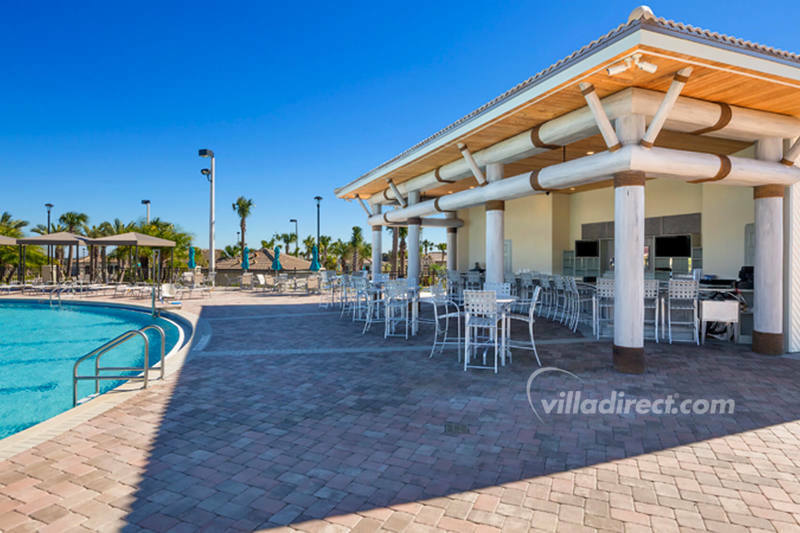 Or sit at the bar and enjoy a long, cool drink after "baking" in the sunshine by the pool. 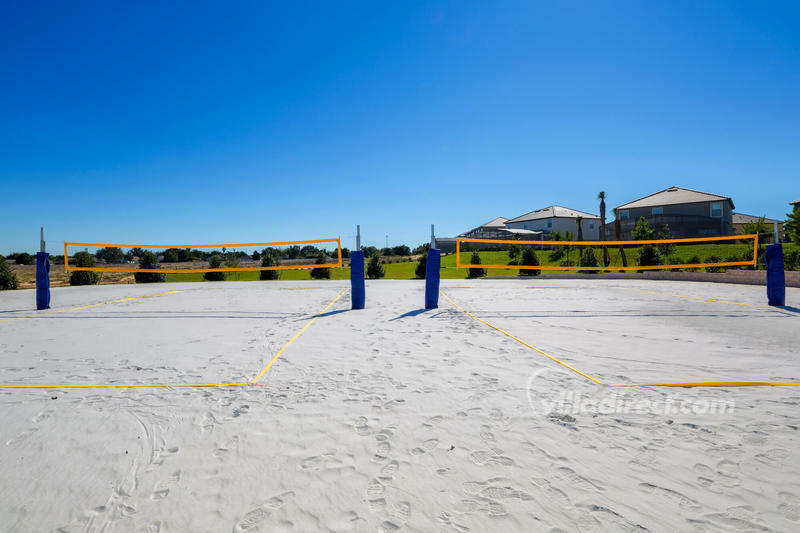 If you're feeling energetic, you can play a few games under the sun at the tennis and volleyball courts, or take a round at the full, public 18-hole championship golf course on the resort. 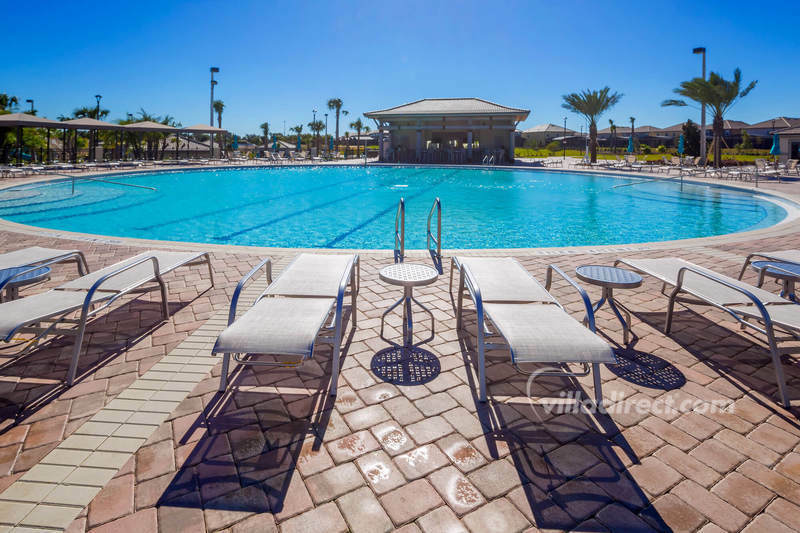 Whether you're traveling for pleasure or for business, your accommodations are located strategically for easy access to Orlando's must-see attractions. 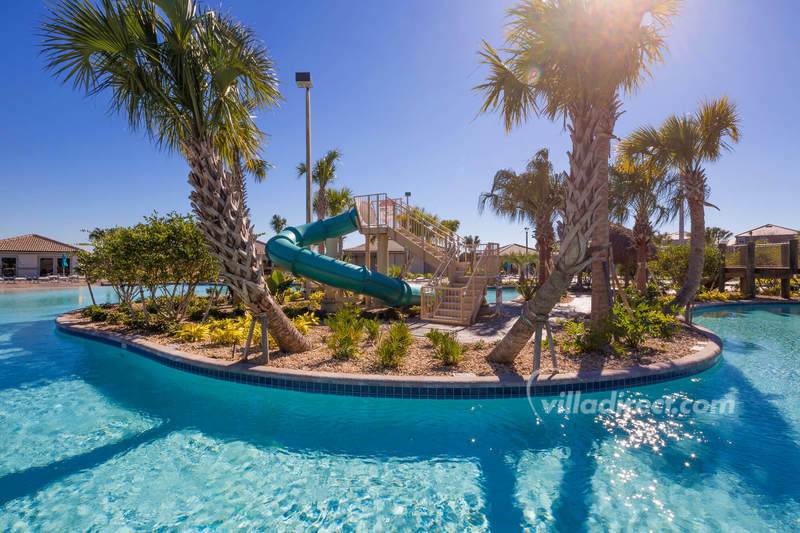 You can enjoy the nearby theme park destinations such as Disney's Magic Kingdom, Epcot, Hollywood Studios, Animal Kingdom, Universal Studios, Islands of Adventure, Sea World, Legoland, Aquatica, Discovery Cove, Typhoon Lagoon, and Blizzard Beach. 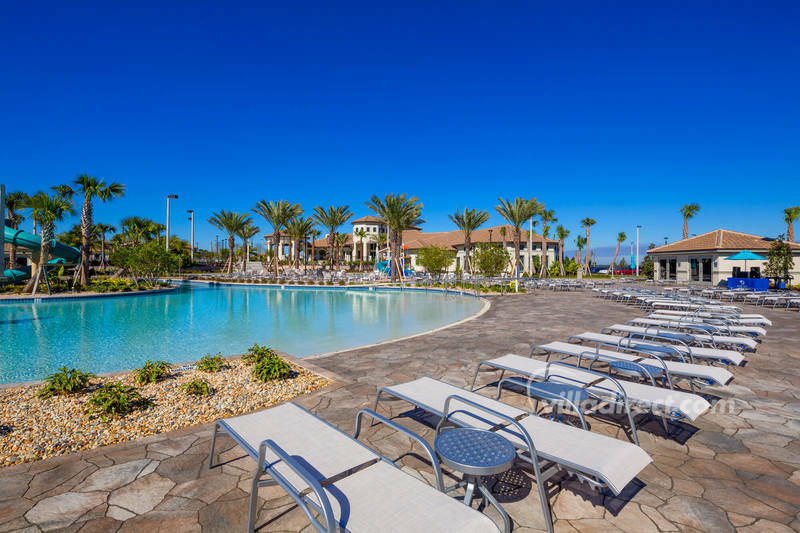 Being in the heart of the number one family travel destination, you will always be able to enjoy world-class entertainment, outlet mall shopping, championship golf courses, magnificent museums, and world famous dining from places such as City Walk, Downtown Disney, International Drive, or the Orange County Convention Center. 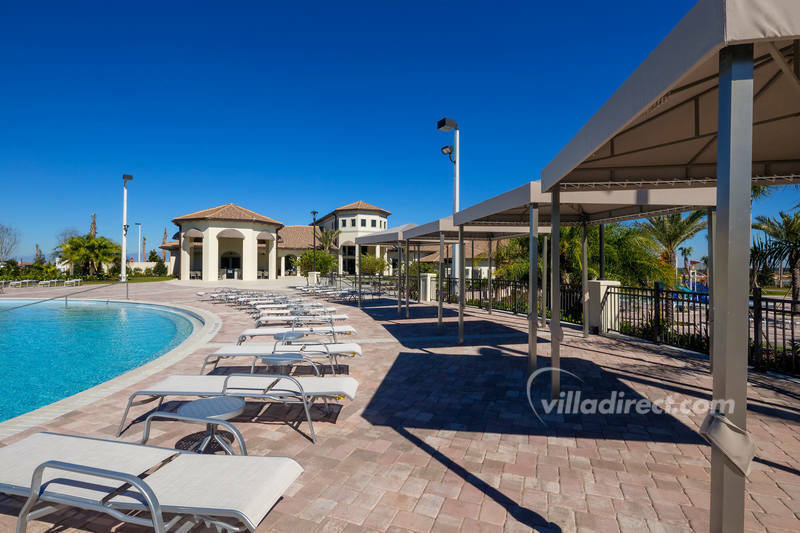 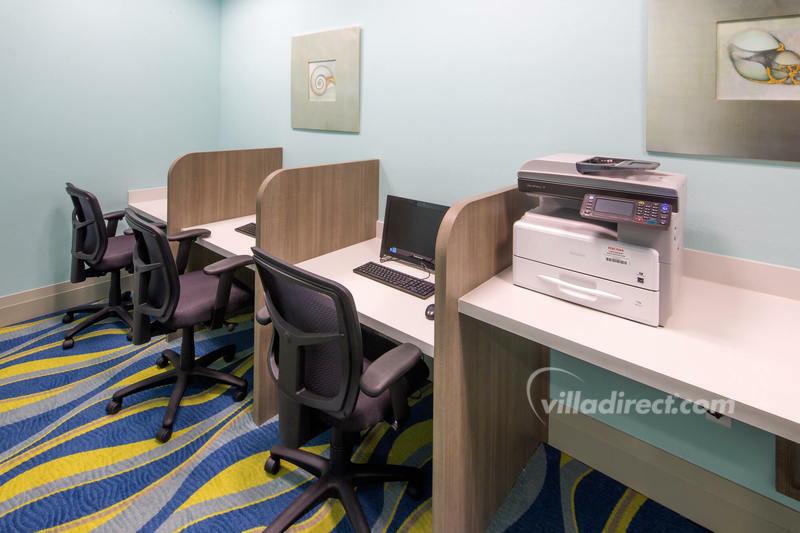 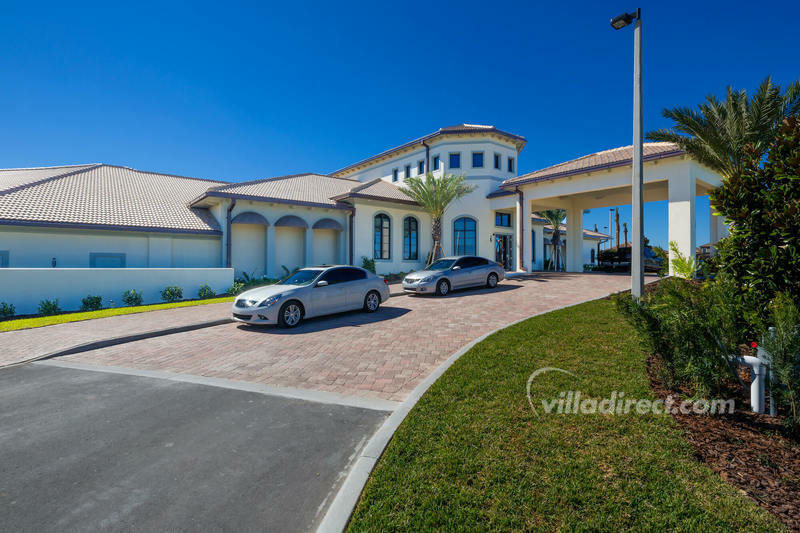 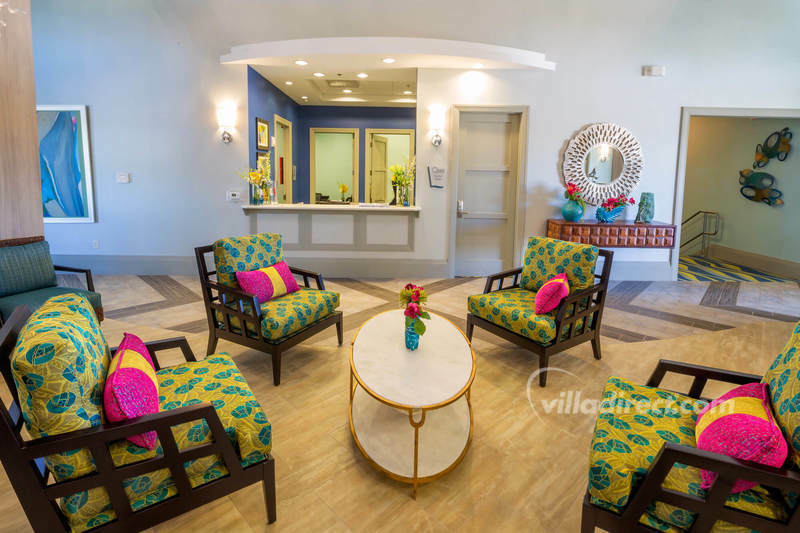 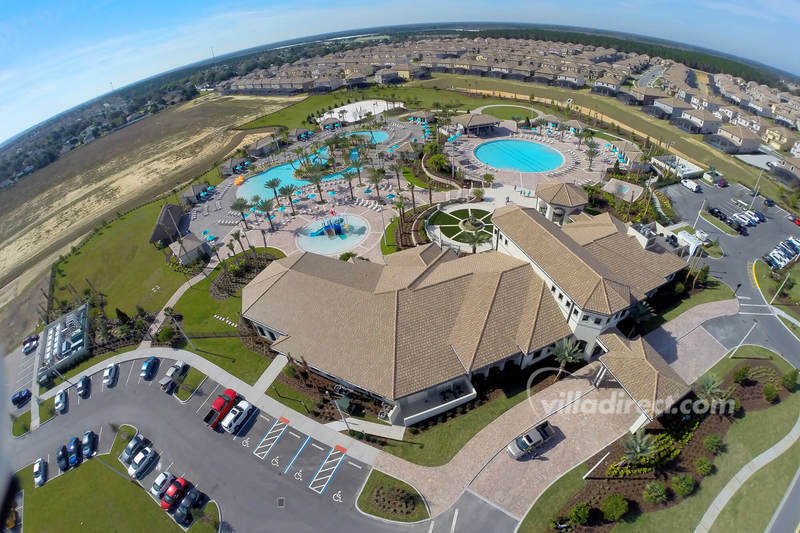 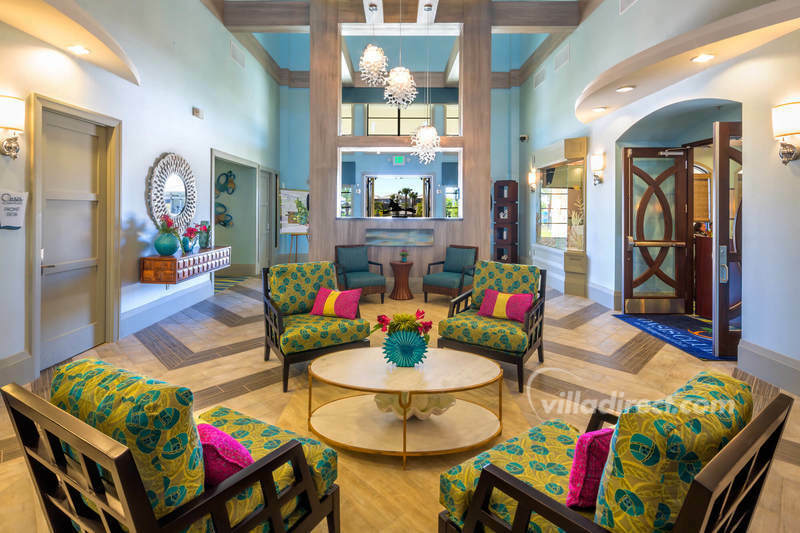 VillaDirect offers the widest selection of the highest quality vacation homes in Orlando. 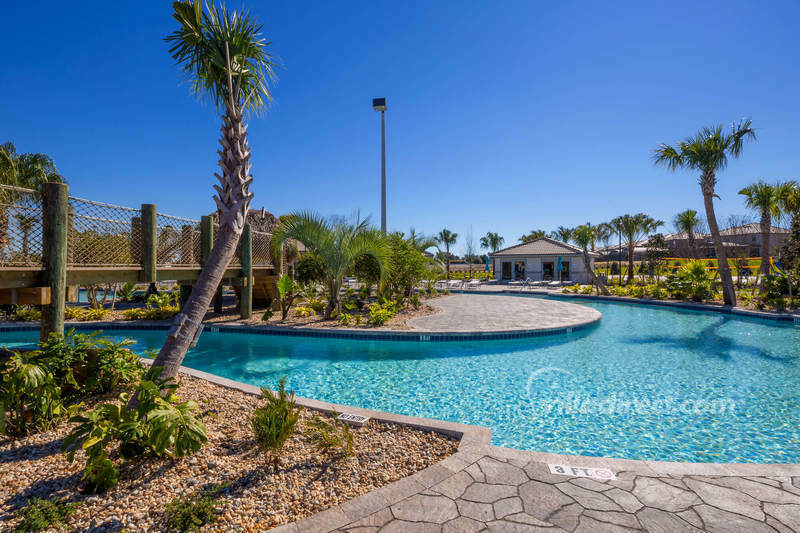 We are accredited by Walt Disney World® Resort and can guarantee that your vacation property will be within easy reach of all of the theme parks and attractions. 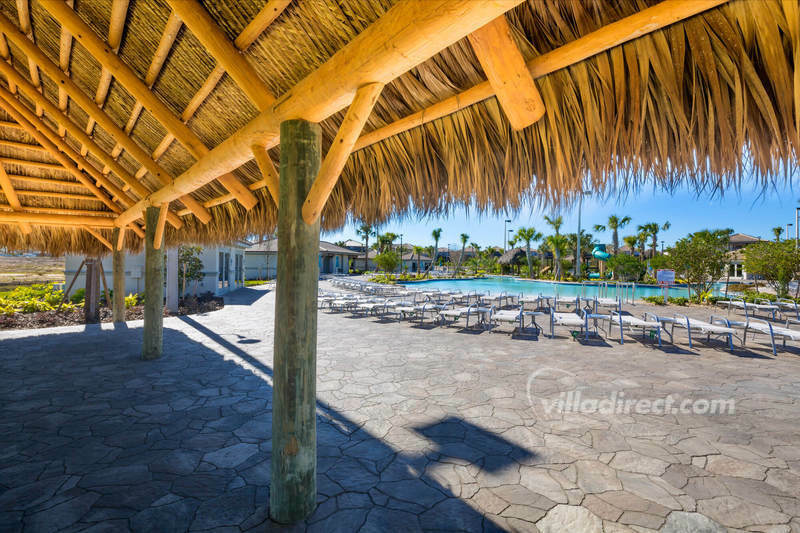 Book your perfect Florida family vacation getaway today.